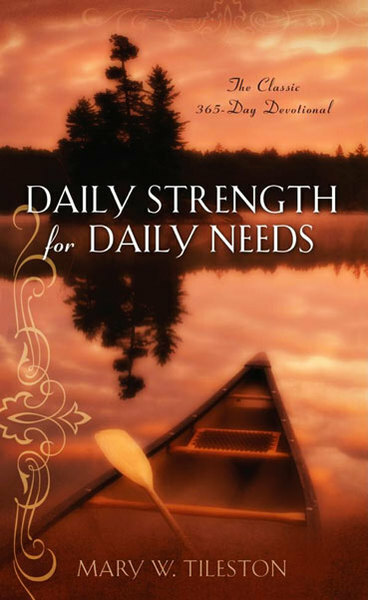 A classic devotional with excerpts from a number of authors including Charles Wesley, Madame Guyon, William Law, Francois Fenelon, and many others, Daily Strength for Daily Needs will certainly encourage and strengthen you in your walk with God. Each day's portion brings a special enlightenment and encouragement to meet the needs of our present experience. This Bible-based daily devotional faithfully points the reader to the Source of their daily strength for each day's needs—Christ is the source and fountain from which we can draw. For each day of the year the editor, Mary W. Tileston, has selected a passage of the Bible and quoted it together with a selection of time-proven prose or poetry for the reader's daily encouragement.